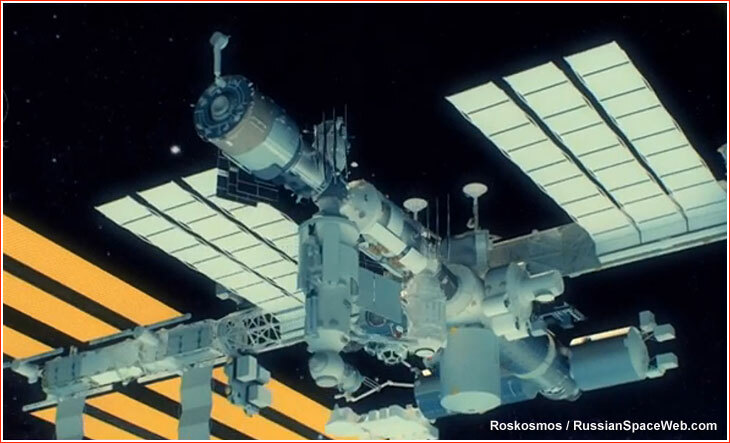 In 2017, Roskosmos hatched a plan to bring the number of cosmonauts aboard the International Space Station, ISS, back to three after financial problems had forced Moscow to leave only two people on the Russian Segment of the station this year. Three Russian crew members will be needed onboard the outpost ahead of the arrival of the long-delayed MLM Nauka module now planned for launch in December 2018. 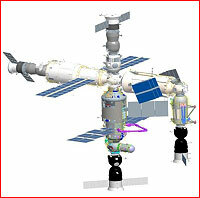 A computer-generated visualization of the MLM module's arrival at the ISS. According to the September 2017 schedule prepared at RKK Energia, the MLM Nauka module was to be launched on March 21, 2019, and after a nine-day autonomous flight, it should dock at the nadir (Earth-facing) docking port of the Zvezda Service Module, SM, a part of the Russian Segment of the station, on March 30, 2019. However long before the Nauka's arrival, the Russian crew members aboard the ISS will have their hands full with various chores preceding the docking of the 20-ton spacecraft, which will increase the size and mass of the Russian Segment by almost a third. Moreover, once the module is in place, Russian cosmonauts are expected to labor into the 2020 to fully plug all the systems of the new room into their home in orbit. The total time required to integrate Nauka is expected to reach 2,000 work hours, including 11 spacewalks! According to the September 2017 draft documents, the preparations for the addition of the long-awaited module were scheduled to begin on Sept. 8, 2018, with the launch of the three members of Expedition 57 crew aboard the Soyuz MS-10 spacecraft. The launch will mark the first time since October 2016 that a Soyuz will lift more than one Russian cosmonaut. 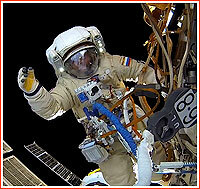 Two Russian cosmonauts, a veteran Aleksei Ovchinin and a rookie Nikolay Tikhonov will be onboard. They will be accompanied by NASA astronaut Tyler Hague. The trio will work on the station until Feb. 24, 2019, and will not actually see the Nauka at the station but will lay the ground work for its arrival. On November 7, 2018, Soyuz MS-11 will be launched with Russian cosmonaut Oleg Kononenko, US astronaut Serena Auñón-Chancellor and Canadian David Saint-Jacques onboard. On March 7, 2019, they will be joined in orbit by the crew of Soyuz MS-12 with a yet to be assigned pair of Russian cosmonauts and one US astronaut. These two crews, including three Russians, will be onboard the ISS during the hectic operations to receive the Nauka. 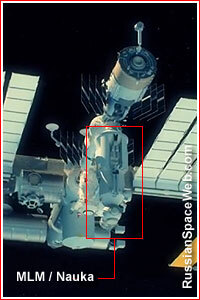 At the time, when Proton rocket launches the new module from Baikonur Cosmodrome in Kazakhstan, its destination port on the Zvezda will still be occupied by the Pirs Docking Compartment, SO1, which has been located there since 2001. To discard the 16-year-old module, it will be undocked along with the Progress MS-10 spacecraft that will have been attached to its free docking port since October 2018. Because Progress has ability to maneuver, it will be used to direct Pirs into the Earth's atmosphere to burn up. In 2016, Roskosmos had to cut the Russian ISS crew from three to two people to save funds. 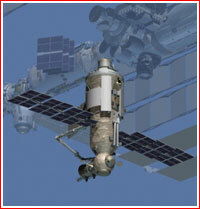 The reduced crew allowed Russia to save one trip of the cargo ship to the station. With three cosmonauts living on the ISS again, Russia will have to send four Progress cargo ships to the station during 2019. This plan is yet to be approved by Roskosmos and the by the Russian government. 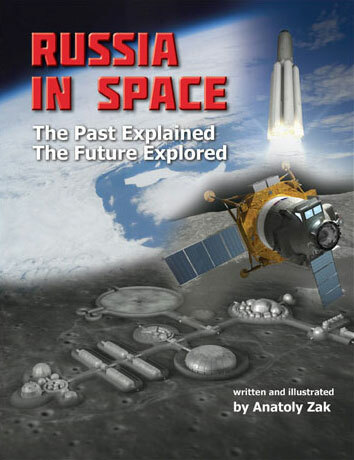 Russian space plans in unprecedented detail!